Excellent choice for your social or business events. 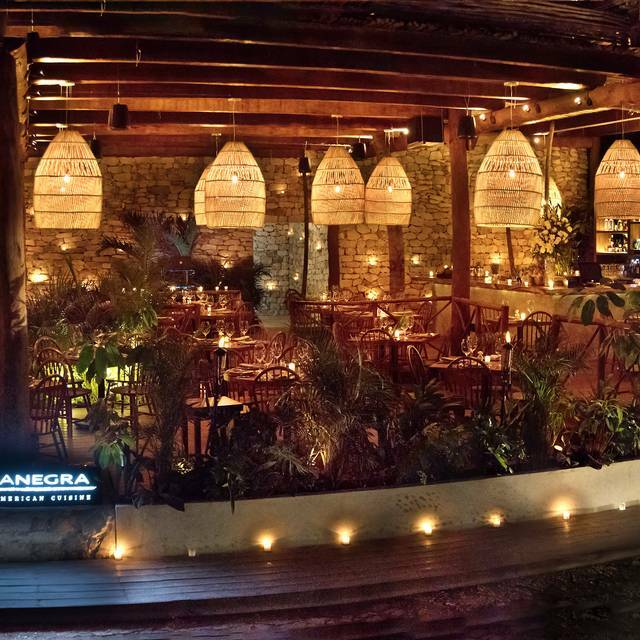 RosaNegra® is a space that radiates Freedom, a tribute to Latin American cuisine. 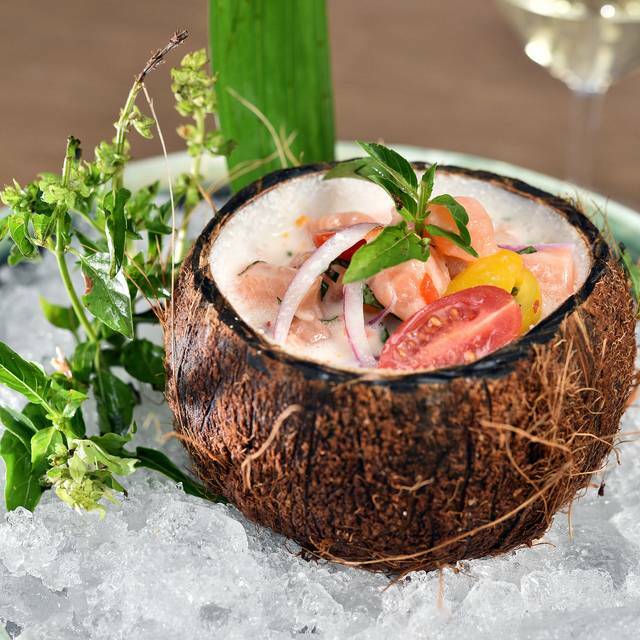 Gastronomic traditions from countries such as Peru, Argentina, Colombia, Brazil and, of course, Mexico make the menu an eclectic combination with authentic and daring flavors. 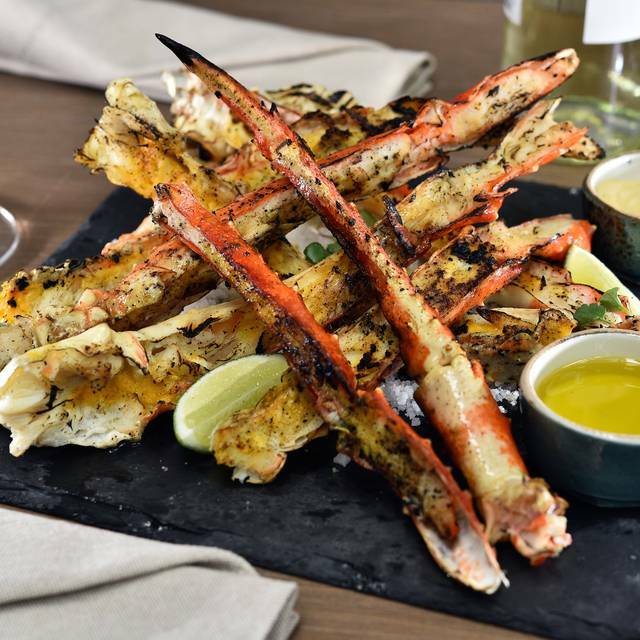 In RosaNegra® we are passionately committed to offering products and fresh ingredients of the highest quality, brought daily from their origin. Accompanied by handmade cocktails prepared with exclusive infusions of the house, natural ingredients and spectacular presentations; as well as the best contemporary music selected by our resident DJ. 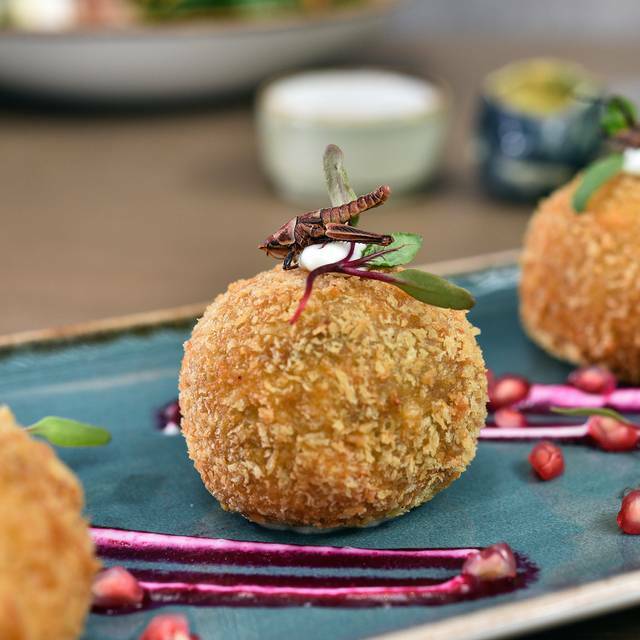 Passion for living and enjoying good cooking, good music and good company make RosaNegra® a true Latin corner, with that spicy flavor and the continuous desire to enjoy life. Alaskan Giant Crab 16 Oz. Bone In Rib Eye 21 Oz. Rib Eye Cecina 14 Oz. Deconstructed Cut, Bone In New York & tenderloin, 35 oz. Skillet Seared Salmon 11 Oz. Giant Tiger Prawns U4 4 Oz. The London Nº1, 2 Oz. Wint & Lila 2 Oz. I will highly recommend this place!! We had the Kobe Beef and it’s was worth every penny! The parmesan bread and the mushrooms appetizer was delicious! Romantic place and great staff! Ein Restaurant das wahrscheinlich von seinem tollen Ambiente lebt. Alles andere ist absolut nicht empfehlenswert. Es werden in diesem Laden so viele Menschen beschäftigt, die ungeschult sind und keine Ahnung haben von den was sie tun. Weißwein in Rotwein Gläsern servieren usw. Das Essen ist leider auch nicht der Rede wert, das Kobe Fleisch war ganz gut den Rest müssten wir leider zurück gehen lassen weil 80% nur aus Fett bestand. Das wurde uns zwar von der Rechnung genommen, aber es ist schon unverschämt das so was überhaupt die Küche verlässt, vor allem wenn man mit angeblich dem besten Fleisch wirbt. Die Salate sind auch absolut nicht zu empfehlen. Das Brot und die Vorspeisen, waren allerdings ganz gut. Im Großen und ganzen eine Enttäuschung und absolut nicht empfehlenswert. Place was very vibrant and energetic. Highly recommended, especially for a birthday or where dessert is involved. It gets really hip and hype when the sparklers go off and the restaurant goes crazy. If you like quiet and relaxing, this isn’t the spot for you. This is a place to show off your wife or significant other and be seen on a Thursday, Friday, or Saturday night. Excelente! Que lugar tan increíble, tiene un ambiente inmejorable, la mejor comida, el mejor servicio, conozco de lugares y este está en mi top! Had an incredible time celebrating my birthday here! 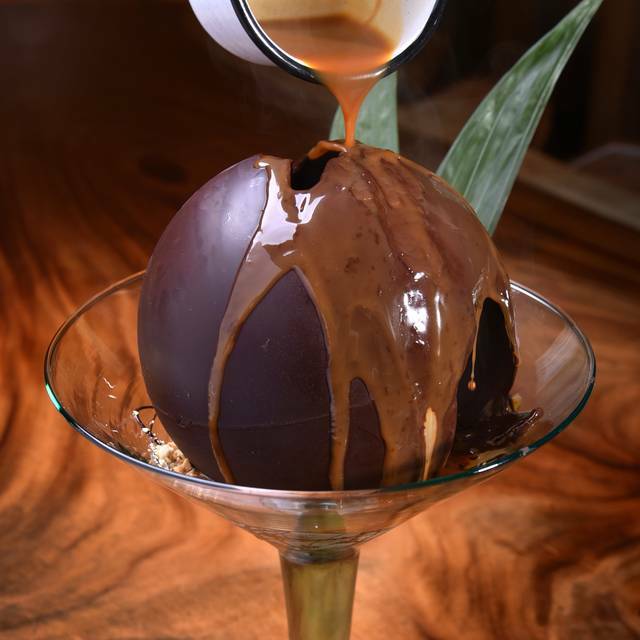 The service is outstanding, the ambiance is fun and energetic, the food was delicious. Could not recommend this place more! They go OUT OF THEIR WAY to make your experience memorable!!! Love, love, love this place! Great food, excellent staff, super cool atmosphere...do not miss this! Service at the end of our dinner was terrible, and this is fault by management as the waiter was very rude the way he wanted us to leave the table and make it ready for the next big group that was arriving. The waiter kept saying, tip is not included, how do you want to pay the tip and these are the % you can give as tip (up to 5 times). This is sooooo terribly wrong to do, i work in hospitality industry and the restaurant manager should definitely train their waiters on situations when a table needs to make space for a bigger group to request politely to continue talking and drinking at the bar and not pushing to give us the bill and keep pointing out to leave a big tip! Really left us with a negative vibe. Everything is perfect there. I love this place. Best service in Tulum with Taboo. El lugar muy bien, buena decoración. La comida estuvo muy rica igual los drinks lo único que nos tocó mal fue la hookah medio mala pero todo lo demás estuvo muy rico. 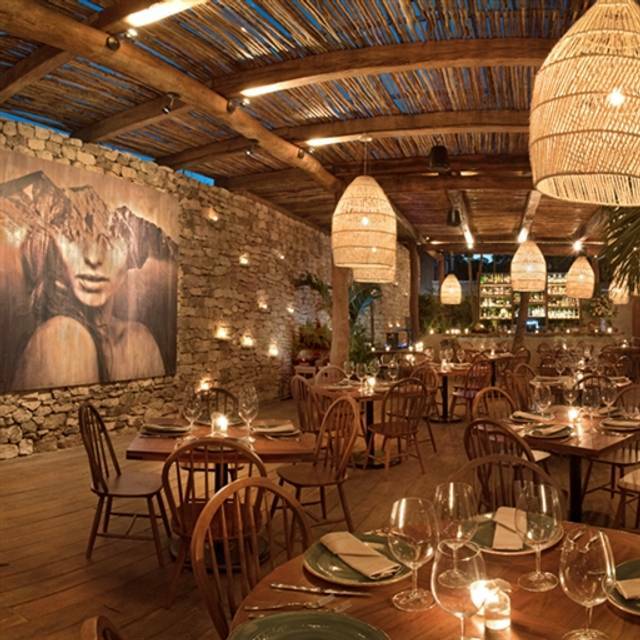 Must visit this place if you’re in Tulum! Perfect ambiance, great music and delicious food! Saul was our server and was so kind! We will definitely be back! 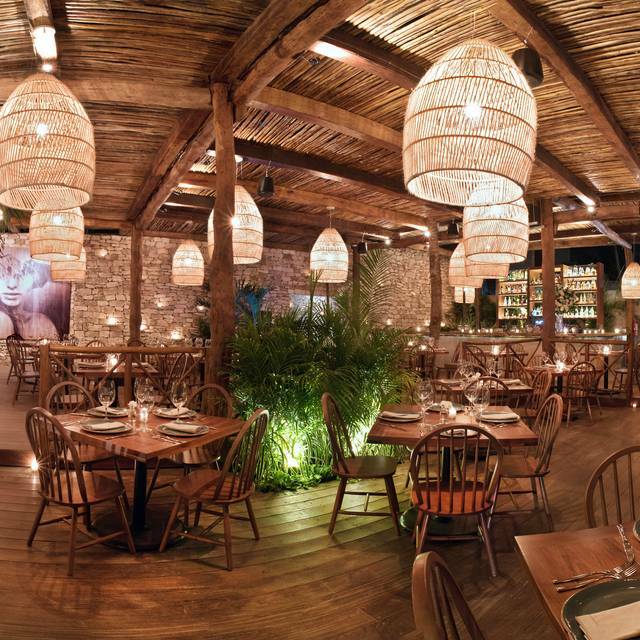 Truly truly amazing food in a beautiful space and right in the middle of Tulum’s substantial nightlife. 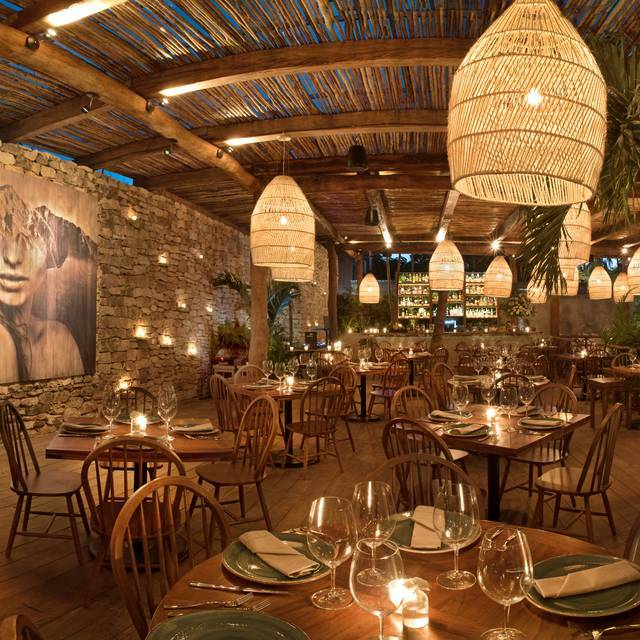 If you’re in Tulum, you must go here. Rosa Negra Tulum was amazing and exceeded our expectations! One of the best dining experiences we’ve ever had. Would definitely come back every time in Tulum and Cancun. Delicious food, great service. A little more expensive compared to other fine dining spots in Tulum, but not too bad when compared to fine dining in the US. Amazing we really had a great time out here!! The service was excellent with Alejandro and José Ines. Our last night in Tulum. My two daughters were blown away by the music and celebration, as were my wife and I! Quite an experience! 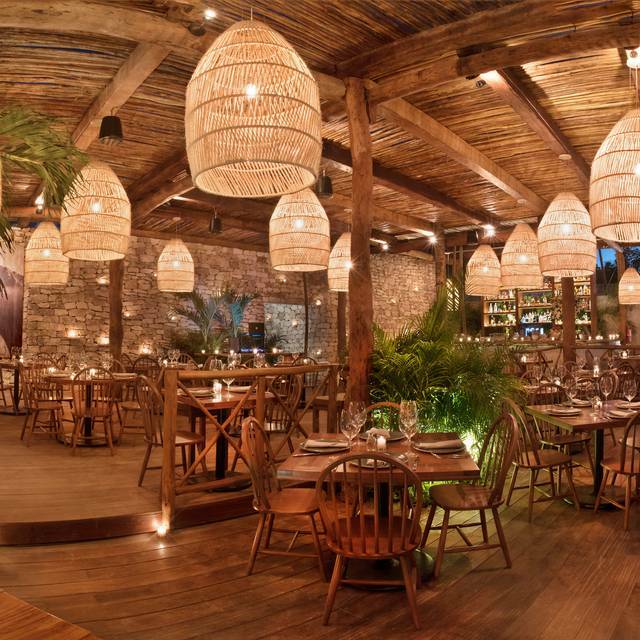 Went to Tulum for the weekend to celebrate my 30th birthday and decided to make reservations for Rosa Negra. Best decision I made. Service was outstanding and food was amazing. The only let down I had was they did not bring out the cake with the firework candles saying they ran out of them but later saw a few other tables getting their cake with those candles. That was the only thing that bummed me out. La comida estupenda. Tardaron horas más de 1 hora para servir cena. NO es un lugar para niños, deberían prohibir la entrada y tener vigilancia en los baños. Es un antro!! No un restaurante. Musica muy alta, no es posible hablar ni con la persona que tienes al lado. Todo estuvo muy bien, pero para los precios deberían prepárate la carne Kobe en tu presencia para ver q realmente es la carne q elegiste, para mi gusto es mas discoteca q Restaurante , el audio tan alto y la música no es para cenar. Pero la carne de calidad wayiu Australiana buena. Upon arriving to Rosa negra we were consumed by the beautiful atmosphere. Unfortunately after taking it all in we were increasingly disappointed. First, the techno music was incredibly high, didn’t go with the energy or atmosphere of the environment, and worst of all made it impossible to speak to one another without shouting. The drinks where presented beautifully but were super watered down. Worst of all in my opinion we ordered,what we thought, was enough food to feed two people: as appetizer my husband ordered the soup and I a salad. As our main course we decided to share a steak with two sides. The soup was enough for 3 people the salad was portioned for at least 5 and the steak and sides could have also fed an average family. We were disappointed the staff, after incurring if that was enough food for the two of us as we were sharing, didn’t advise us it would be more then twice what two people could consume. Instead encouraged us to order more. Felt like a rip-off- most expensive meal we had in tulum over the week and so much food had gone to waste. Great staff. Lots of fun. Good food and fun music. Steakhouse dance party! Ya gotta love México. Excelente restaurante, muy buena comida y un gran ambiente. La experiencia grata está garantizada. This is a fantastic restaurant and the service was by far the best we received in all of Tulum. For sure put this spot on your list. Great service. Really Good food. Great atmosphere. Great food, party atmosphere! Very fun and energetic! Ya anteriormente he estado ahí, y regresé por el excelente Ambiente, la música increible, y ni que decir de la deliciosa comida y mixología que tienen. El servicio es excelente al igual que la calidad de los productos, vale mucho la pena. Sin embargo el nivel de ruido es muy alto y molesto.